1. 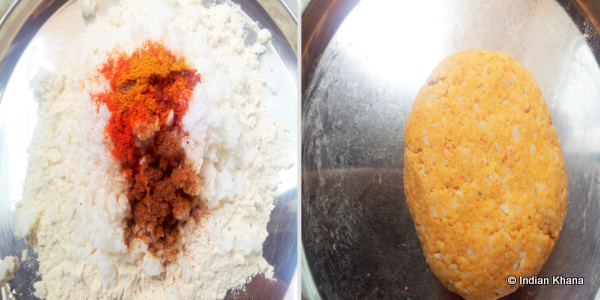 Make dough of leftover rice, atta, chilli, turmeric, cumin powders & salt. While mixing the dough add only little water. The best way to prepare the dough is to mix all the ingredients except water well and then add water in little quantities. If added too much water then the dough will be very sticky. 2. 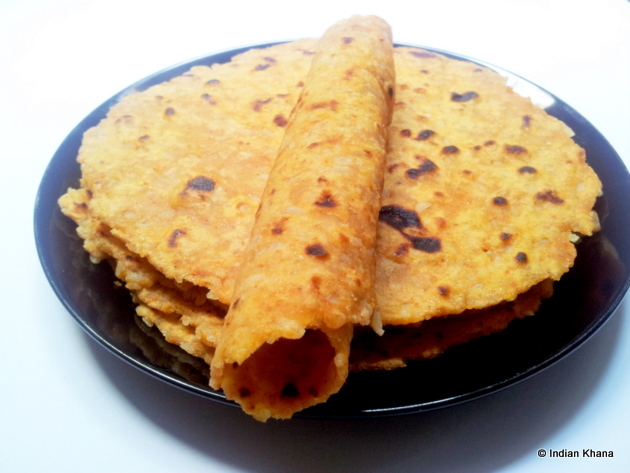 Divide the dough into equals portion and roll like roti. The difficult part is to roll the roti as it tends to break while rolling, for which we need to keep dusting the roti with flour. 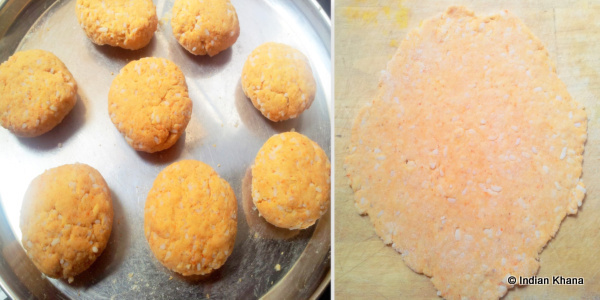 If the roti keep breaking or difficult to roll then add atta to make the dough firm. I know it's not coming near to circle but then that's okie, am not focusing on the shape. 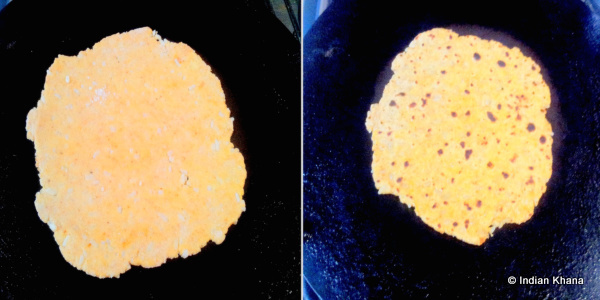 3.In hot tawa cook the paratha both sides until golden brown and apply oil/ghee/butter. 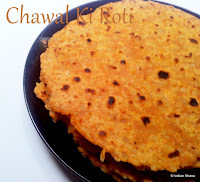 Tasty chawal ki roti is ready to server. You can have with any side dish. The best way to use leftover rice. looks yummy..nd tasty,..thanks for sharin new one for me,.. Thanks everyone for your support. 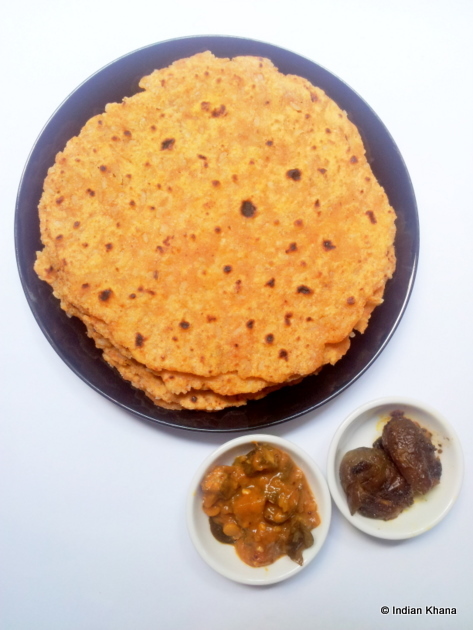 Shubha thanks...I did send the entry for Roti Mela. Hey roti looks great, very nice recipe !! !